Products There are 6 products. 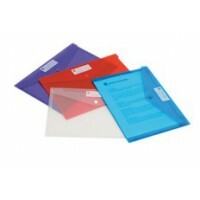 Transparent and durable plastic case carries all your documents, papers and other loose articles. Convenient coloured horizontal zip that secures all your contents and ensures nothing falls out. Features a label holder on the front cover to easily identify contents. Packs of 100. 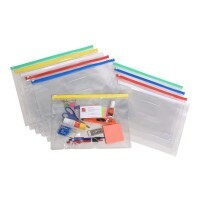 Transparent and durable plastic case carries all your documents, papers and other loose articles. Convenient coloured horizontal zip that secures all your contents and ensures nothing falls out. 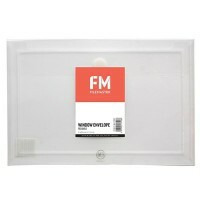 Features a label holder on the front cover to easily identify contents.